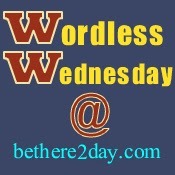 This is going to be a not so Wordless Wednesday today. We are on vacation in Florida this week and I promised all my readers that I would update Talbert Zoo each day with our adventures. I was able to write my Florida Vacation Part One post. But, last night my computer decided it didn't want to work correctly. I turned it on and it was stuck on an update. I didn't want to stay up all night waiting for it, so I thought I could write part 2 in the morning. When I turned on my laptop in the morning, again it was stuck. Then it gave me an update error message and shut itself off. After a couple of hours Chris finally got it working again. I was feeling ambitious tonight and thought I could write a Wordless Wednesday post, the Florida Vacation Part 2 post and Florida Vacation Part 3. Well that isn't going to happen either. When I turned on my laptop this evening my favorite web browser decided not to open. I think for some reason the Lord doesn't want me to document our family vacation on my blog. Instead of spending a half an hour writing like I would have hoped, I've spent the last half an hour uninstalling and reinstalling my favorite web browser. Finally it is working once again. I have no idea when I will write my Florida Vacation Part 2 post. 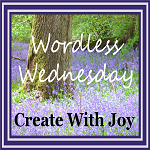 For now, here is a Wordless Wednesday with some photos from this week. Enjoy! Silly Monkey at the pool.